Influence were part of a team that submitted a planning application for a new residential development within a Conservation Area in northwest Leicestershire. 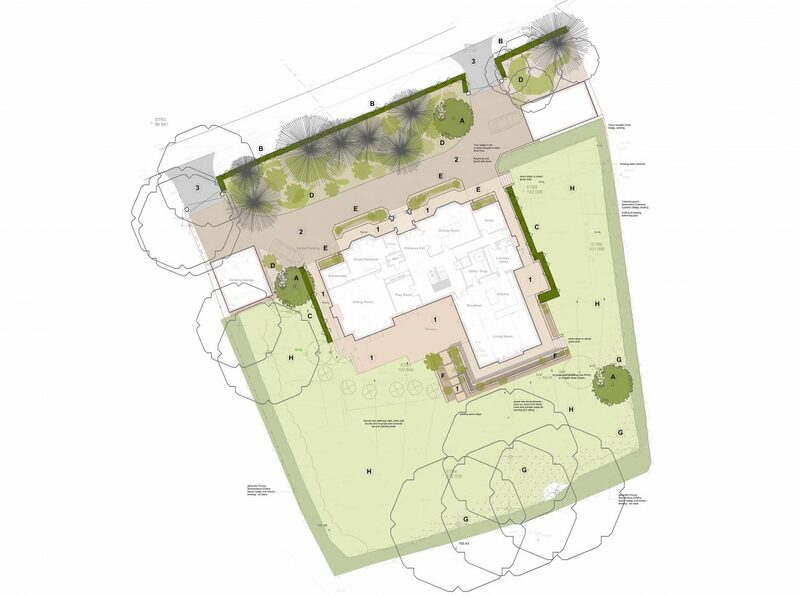 In response to the site, the garden design needed to incorporate planting below dense existing tree cover to the frontage and a stepped topography to the rear. Influence suggested a shade loving plant-mix of woodland style under-story planting for below the existing cypress trees and a more modern scheme of linear stepped planting beds to the rear of the house. This area needed to respond to the modern building facade and utilised plants of varied texture with a defined colour scheme. Small feature Amelanchier trees were incorporated in key locations around the garden to provide structure as well as spring and autumn interest with their foliage. The scope of work included an Arboricultural Survey and Method Statement, with associated Tree Impacts and Protection Plans. 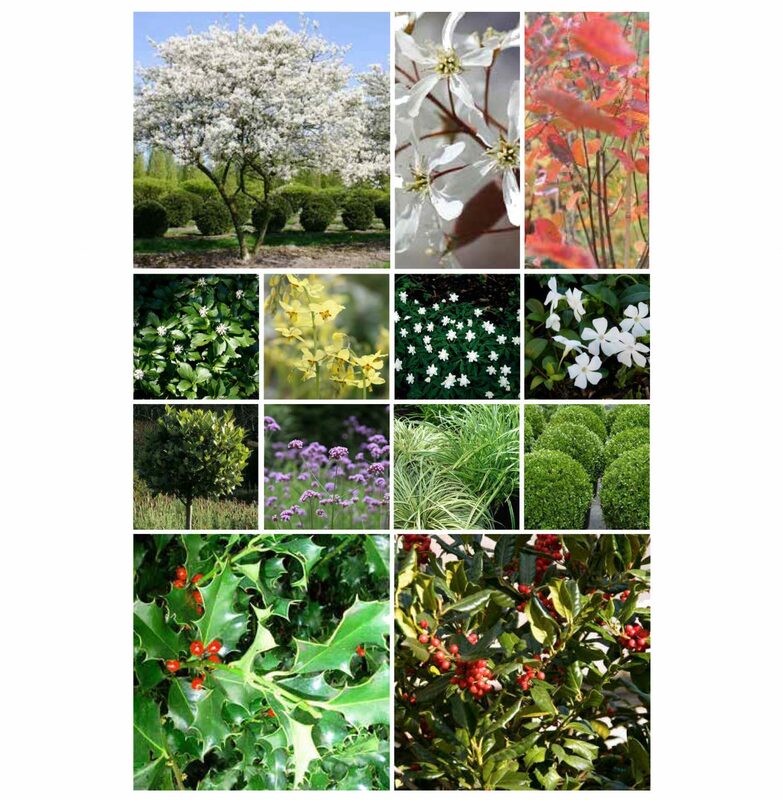 A Landscape Plan, setting out key areas of planting beds, specimen trees, lawns and stepped surfaces was produced, as well as a series of soft planting palettes including species that would respond to the various site conditions.